Our proficiency in this domain enables us to offer a wide assortment of ventilation Industrial Louvers to our clients across the nation. Precisely designed, these louvers allow light and air to enter the buildings but rain, direct sunshine and various noises are restricted. 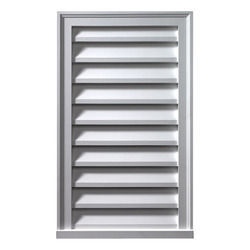 Framed with horizontal and vertical slats, these louvers assure low maintenance costs and offer a pleasant living environment inside. These automated louvers assure effective ventilation in small and modernized building structures. Looking for Industrial Louvers ?